People of Nigeria, exactly one year ago, you turned out in your millions to vote for me, Chief M.K.O. Abiola , as the President of the Federal Republic of Nigeria. But politicians in uniform, who call themselves soldiers but are more devious than any civilian would want to be, deprived you of your God-given right to be ruled by the President you had yourselves elected. These soldier-politicians introduced into our body politic, a concept hitherto unknown to our political lexicography, something strangely called the “annulment” of an election perceived by all to have been the fairest, cleanest and most peaceful ever held in our nation. Since that abominable act of naked political armed robbery occurred, I have been constantly urged by people of goodwill, both in Nigeria and abroad, to put the matter back into the people’s hands and get them to actualise the mandate they gave me at the polls. But mindful of the need to ensure that peace continues to reign in our fragile federation, I have so far tried to pursue sweet reason and negotiation. My hope has always been to arouse whatever remnants of patriotism are left in the hearts of these thieves of your mandate, and to persuade them that they should not allow their personal desire to rule to usher our beloved country into an era of political instability and economic ruin. All I have sought to do, in seeking dialogue with them, has been to try and get them to realise that only real democracy can move our nation forward towards progress, and earn her the respect she deserves from the international community. However, although this peaceful approach has exposed me to severe censure by some who have mistaken it for weakness on my part, those with whom I have sought to dialogue have remained like stones, neither stirred to show loyalty to the collective decision of the people of their own country, nor to observe Allah’s injunction that they should exhibit justice and fair-play in all their dealings with their fellowmen. Appeals to their honour as officers and gentlemen of the gallant Nigerian Armed Forces, have fallen on deaf ears. Instead, they have resorted to the tactics of divide and rule, bribery and political perfidy, misinformation and (vile) propaganda. They arrest everyone who disagrees with them. Even the 71-year old hero of our nation, Chief Anthony Enahoro, was not spared. How much longer can we tolerate all this? We have endured 24 years of military rule in our 34 years of independence. Military rule has led to our nation fighting a civil war with itself. Military rule has destabilised our nation today as not before in its history. Military rule has impoverished our people and introduced a dreadful trade in drugs which has made our country’s name an anathema in many parts of the world. Even soccer fans going to watch the Green Eagles display in America are being made to suffer there needlessly because Nigeria’s name is linked with credit card and fraud and “419.” Politically, military rule has torn to shreds the prestige due to our country because of its size and population. The permanent seat at the United Nations Security Council that should be rightfully ours is all but lost. For who will vote for Nigeria to get the seat if Nigerian military rulers do not respect the votes of their own people? Enough of military rule. We are sickened to see people who have shown little or no personal achievement, either in building up private businesses, or making success of any tangible thing, being placed in charge of the management of our nation’s economy, by rulers who are not accountable to anyone. Enough of square pegs in round holes. We are tired of the military repetitive tendency to experiment with our economy: Today, they say “no controls.” Tomorrow; they say “Full controls”. The day after, they say “Fine tuning”. The next day, they say “Devaluation.” A few days later, they say “Revalue the same naira upwards again Abi?” All we can see are the consequences of this permanent game of military “about turns;” high inflation, a huge budget deficit and an enormous foreign debt repayment burden, dying industries, high unemployment and a demoralised populace. Our youths, in particular, can see no hope on the horizon, and many can only dream of escaping from our shores to join the brain drain. Is this the Nigeria we want? We are plagued also by periodic balance of payments crises, which have led to a perennial shortage of essential drugs that has turned our hospitals and clinics into mortuaries. A scarcity of books and equipment has rendered our schools into desolate deserts of ignorance. Our factories are crying for machinery, spare parts and raw materials. But each day that passes, instead of these economic diseases being cured, they are rather strengthened as an irrational allocation of foreign exchange based on favouritism and corruption becomes the order of the day. Enough is enough of economic mismanagement! Our patience has come to an end. As of now, from this moment, a new Government of National Unity is in power throughout the length and breadth of the Federal Republic of Nigeria, led by me, Bashorun M.K.O. 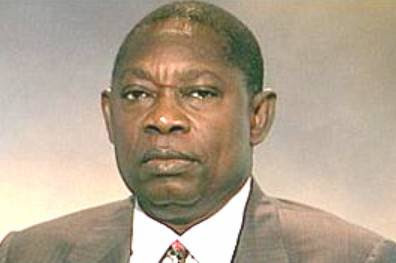 Abiola, as President and Commander-in-Chief. The National Assembly is hereby reconvened. All dismissed governors are reinstated. The State Assemblies are reconstituted, as are all local government councils. I urge them to adopt a bi-partisan approach to all the issues that come before them. At the national level, a bi-partisan approach will be our guiding principle. I call upon the usurper, General Sani Abacha, to announce his resignation forthwith, together with the rest of his illegal ruling council. We are prepared to enter into negotiations with them to work out the mechanics for a smooth transfer of power. I pledge that if they hand over quietly, they will be retired with all their entitlements, and their positions will be accorded all the respect due to them. For our objective is neither recrimination nor witch-hunting, but an enforcement of the will of the Nigerian people, as expressed in free elections conducted by the duly constituted authority of the time. I hereby invoke the mandate bestowed upon me by my victory in the said election, to call on all members of the Armed Forces and the Police, the Civil and Public Services throughout the Federal Republic of Nigeria, to obey only the Government of National Unity that is headed by me, your only elected President. My Government of National Unity is the only legitimate, constituted authority in the Federal Republic of Nigeria, as of now. People of Nigeria, these are challenging times in the history of our continent, Africa, and we in Nigeria must not allow ourselves to be left behind. Our struggle is the same as that waged by the people of South Africa, which has been successfully concluded, with the inauguration of Mr. Nelson Mandela as the first African President of that country. Nelson Mandela fought to replace MINORITY rule with MAJORITY rule. We in Nigeria are also fighting to replace MINORITY rule, for we are ruled by only a tiny section of our armed forces. Like the South Africans, we want MAJORITY rule today, that is rule only by those chosen by all the people of Nigeria as a whole in free and fair elections. The only difference between South Africa and Nigeria is that those who imposed minority rule on the majority rule whether it is by black or white, remains minority rule, and must be booted out. I call on you, heroic people of Nigeria, to emulate the actions of your brothers and sisters in South Africa and stand up as one person to throw away the yoke of minority rule for ever. The antics of every minority that oppresses the majority are always the same. They will try to intimidate you with threats of police action. But do not let us fear arrest. In South Africa, so many people were arrested, during the campaign against the Pass Laws, for instance, that the jails could not hold all of them. Today, apartheid is gone forever. So, let it be with Nigeria. Let us say goodbye forever to minority rule by the military. They talk of treason. But haven’t they heard of the Rivonia treason trial in South Africa? Did those treason trials halt the march of history? People of Nigeria, our time is now. You are the repository of power in the land. No one can give you power. It is yours. Take it! From this day, show to the world that anyone who takes the people of Nigeria for fools is deceiving himself and will have the people to answer to.